An extra – legal parallel regime that is in operation reveal the manner in which, on the presentation of bogus deeds coupled with brute force, owners of land possessing prima facie valid deeds are being told to vacate on the strength of such bogus deeds, and ad nauseam. This plight is being particularly faced by Tamil and Muslim citizens due to the militarization of the North and East in the post-war years. Those who had been compelled to vacate their lands during the war are now faced with frauds that are perpetrated on them by persons possessing political influence and power. In the Southern regions meanwhile, the poor and marginalized Sinhalese citizenry is pitted against the might of a pronounced State policy centered on the acquiring of private properties citing an urgent public purpose and in many cases, selling them to private companies thereafter for hotel development. The absence of transparency in the functioning of state organs in regard to acquisition/eviction procedures has resulted in the process becoming less participative and clearly arbitrary. In order to establish a democratic system, amendments that empower the persons affected to have a greater say in the acquisition/eviction process and in the resettlement, compensation and rehabilitation process subsequent to the acquisition/eviction are necessary. The lack of transparent procedures is seen most evidently in the former war affected regions of the North and East with the resulting impact most felt by tenants without security of tenure, women and children who do not have title documents to land and marginalised ethnic groups. From a comparative perspective, it may be relevant to note that for around a century, colonial land acquisition legislation in India was not accompanied by corresponding legally enforceable resettlement and rehabilitation norms. Today, there is a drafted bill pending before the Indian Parliament that concerns resettlement and rehabilitation. Nepal too has no concrete law concerning rehabilitation. In Sri Lanka, ministry bodies and task forces vested with the pre-eminent duty to provide a equitable framework for resettlement of internally displaced persons, do not perform satisfactorily. Much like India and Nepal, Sri Lanka too requires a separate law governing resettlement and rehabilitation which, in addition to being comprehensive, must also be period-neutral so as to be pertinent even to acquisitions that take place in the future. In order to make this process more accurate, a social impact assessment, in addition to the environmental impact assessment should be made mandatory. Justice indeed must be done according to law. Granted, the State is entitled to make inroads to that concept in the larger public interest for purposes of development as against a private land owner’s right to property. But as this Study asks, is justice currently being done according to law in the context of state practice in regard to the wholesale acquisition of privately owned land which is a phenomenon most apparent in the formerly war affected areas of the North and East? The same question applies in regard to hasty evictions from state lands occupied by individuals whose families have been living in those lands for generations. This trend is now seen in rural communities in the Uva, Central, Southern Provinces as well as parts of the Western Province. What indeed is contemplated by the concept of sustainable development? Would that concept be satisfied if a landowner is required to vacate his/her land without first being at least monetarily adequately and reasonably compensated? While the more privileged enjoy expressways should the less privileged live in hope that someday, they could be compensated for their lost lands and residing houses? Should the said less privileged, marginalized per se be kept to their fate, further surrendering their fate to State action with the real risk that the State would submit that it has no financial resources in the state coffers to compensate them for their lands? Moreover, the impact of recent government-led initiatives in regard to post-war development is worrying. The general thrust of the National Physical Plan (approved on 03/07/2007 by the National Physical Planning Council chaired by the President as per Section 3 (1) of the Tourist Country Planning (Amendment) Act No 49 of 2000) to be implemented over a period of 20 years (2011-2030) forms an important part of these concerns. Acts such as the Tourist Development Act No 14 of 1968 read with the Strategic Development Projects Act, No.14 of 2008 as amended by Act No.12 of 2011 are particularly pivotal. Used very frequently in the formerly war affected areas, these laws enable the acquisition of properties of private landowners without prior payment of compensation, for strategic development purposes such as the development of tourism. When compensation for such acquired land is claimed against the State, where a considerable period of time may have also ensued, the State may well submit, that, the Treasury has said and the Cabinet of Ministers has expressed regret that, there are no funds to defray such compensation. Would the judiciary in the country be able to compel the State to pay such compensation? The answer to such a question (going by recent judicial precedents) appears unfortunately to be in the negative. 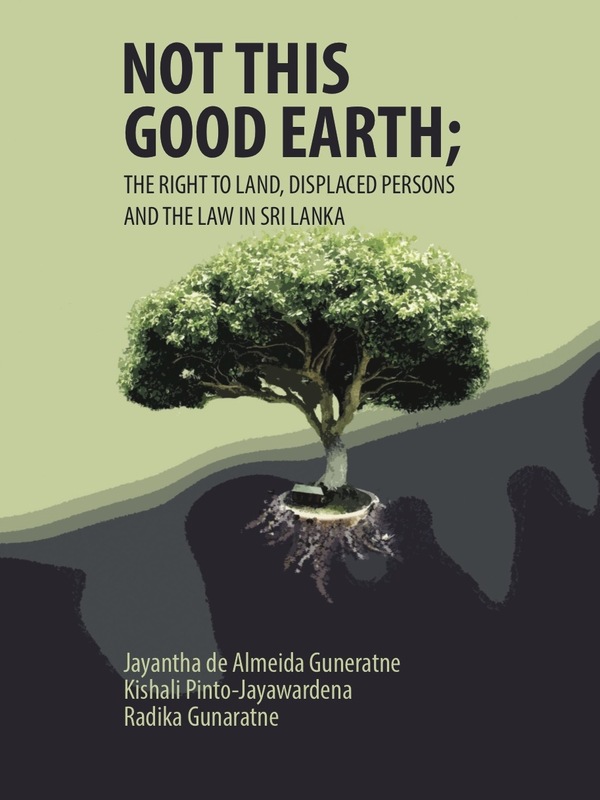 This accentuates the theme pursued in this Study as to how a segment of society would be rendered marginalized in the formerly war affected areas of Sri Lanka as well as in other parts of the country where the Government’s development thrust is prioritized at the expense of the individual right to property and land. This may very well lead to such marginalized persons in society revolting against what they see rightly as supreme injustice. Such an eventuality must be prevented at all costs by appropriate legislative and policy reform implemented as a matter of urgency. The Constitution of Sri Lanka does not recognize the right to own land as an expressed fundamental right. However, an acquisition by the State may be challenged on the ground of arbitrary action postulated by the concept of the Rule of Law, flowing from the right to equality under Article 12 (1) of the Constitution. But, there is a rival thinking which proceeds on the basis that a landowner’s fundamental rights application can only succeed on the basis of the fundamental right violation if he / she is able to show particular discrimination as against another equally circumstanced landowner who has been treated differently and with more favour. An acquisition could also be challenged under Article 140 of the Constitution through an application for an order in the nature of a Writ of Certiorari, prohibition and / or Mandamus on the basis of the well known doctrines of ultra – vires ( substantive and procedural ) and error of law on the face of the record in Administrative Law, subsumed in the later established doctrines of illegality, irrationality, proportionality and procedural impropriety, acknowledged by the Sri Lanka judiciary. There is remedy by way of a declaratory action that it is not liable to be acquired in terms of Section 217 (G) of the Civil Procedure Code. But such a course of relief would be hardly expedient on account of the fact that, a landowner is not entitled to institute action to prevent his / her land being acquired through injunctive relief in view of the Interpretation (Amendment) Act, No.18 of 1972 read with the Amendment Law No.28 of 1974. Our appellate courts have consistently held that, when the Minister of Lands declares by Gazette under the provisions of the Land Acquisition Act that, any land is required for a public purpose, such executive fiat cannot be questioned in any court. This has been departed from by the higher judiciary only in addressing a procedural aspect wherein the Supreme Court has held that, the public purpose reflected in the gazette in question must be stated. There were many statutes enacted to deal with Land and which made provision for the issuing of permits, grants, licences, etc since the 19th century. Currently, Lands are acquired by the State using the Land Acquisition Act and the Urban Development Authority Act. The Minister of Lands is empowered to acquire a privately owned land under the Land Acquisition Act while the President of Sri Lanka could sanction an acquisition under the Urban Development Authority Act. There are other statutes impacting on the said principal statutes including the Provincial Council Act and several statutes in the context of local government namely, the Municipal Councils Ordinance, the Urban Councils Ordinance, the Pradeshiya Sabha Act. To these may be added several statutes where statutory authorities may require to acquire a privately owned land including line Ministries which may propose to acquire privately owned land for stated purposes of education, (for school development); health (for the purpose of putting up a hospital) etc. The Board of Investment of Sri Lanka established by Law No.4 of 1978 is conferred with the power to identify, in consultation with the relevant line ministries, proposed strategic development projects. Buttressing this provision is the Strategic Development Projects Act, No.14 of 2008. Development in the national interest per se to the exclusion of private rights is not what is required by good governance and the Rule of Law. A balance ought to be struck. “Sustainable Development” is what is required. The land so acquired for a tourist development project as being a Strategic Development Project may well have been land that the private owner might have been using for business purposes which he/she would find deprived of. The Study discusses how evictions from State Lands have been approached by the State and the Courts under the various statutes applicable to State Land i.e. the Forest Ordinance, the Irrigation Ordinance, the State Lands Ordinance, the Land Development Ordinance, the Land Resumption Ordinance and the State Lands (Recovery of Possession) Act. A recommendation is also made to the government to set in motion the Land Resumption Ordinance with suitable amendments particularly in regard to the time limits contemplated in the present Section 2(1), ideally, by the enactment of new legislation titled “The Land Resumption (Special Provisions) Act” to deal with the situation that arose some thirty years ago due to the conflict. Under the State Lands (Recovery of Possession) Act once the competent authority forms an opinion that, the land in question is state land and the person in occupation or possession is in unauthorized occupation or possession, the magistrate would have no option but to order the ejectment of such person unless, the person is able to show that, he is in occupation or possession under a permit or some written authority. Much of the case law in this regard relates to who would be viewed as a ‘competent authority’ and what would constitute ‘unauthorized occupation or possession’. Two important cases discussed in this regard are Senanayake v. Damunupola and Karunawathie Jayamaha & others v. Janatha Estate Development Board & Others. Other ancillary statutes that deal with State Lands include The State Landmarks Ordinance, the Definition of Boundaries Ordinance, The Land Surveys Ordinance and the Requisitioning of Land Act. The Government has in the past made many attempts to formulate a National Lands Policy. But, discussions on a national lands policy have generally been to the exclusion of the very persons whose rights are directly in issue; namely, those with rural agricultural livelihoods, primarily farmers who are currently permit holders of restricted land grants. The 2001 Draft Land Use Policy, (while acknowledging that land is one of the most fundamental resources necessary for human beings to survive) demonstrated specific problems particularly in relation to enhancing the role of the Private Sector in land resources development, giving priority thereby to quick profits rather than sustainability and local needs of food security. This proposed Lands Policy was abandoned due to objections being raised by land rights advocates on the basis that the creation of a free land market was incompatible with the objectives of meeting human needs and of sustainability of rural agricultural livelihoods. In 2001, the Government adopted a National Involuntary Resettlement Policy to address the gaps with regard to resettlement in the Land Acquisition Act. The policy aimed to avoid, minimize and mitigate the negative impacts of involuntary resettlement. This policy though having remarkable provisions especially on providing compensation has rarely been used during the acquisition process. In 2007, the Government adopted a National Physical Plan for its developmental projects. But, for all these projects and the development drive, the State would surely need land and the available land resources at the disposal of the State would certainly not be adequate. Those owners and/or occupiers of land would inevitably be affected. Though the 13th Amendment made provision for a National Land Commission, (the constitution of which includes members of Provincial Councils) which was empowered to formulate a National Lands Policy, this has not been established up to date. In particular instances, the interplay between the dual authority bestowed in respect of matters concerning lands on both the Centre and the Provinces has resulted in increasingly complex legal dilemmas. Two instances where this was seen relate to the Determinations of the Supreme Court with regard to the Lands Bill (2003) and the Amendment Bill to the Town and Country Planning Ordinance (2011) both in which the Court ruled that consent from all Provincial Councils would be required to pass the relevant Bill which respectively dealt with matters coming within the purview of the Provincial Councils. On 26 September 2013, a three member Bench of the Supreme Court handed down three separate opinions concurring that the Court of Appeal had erred in law in holding that the Provincial High Court had jurisdiction under the 13th Amendment and the consequent High Court of the Provinces (Special Provisions) Act, No 19 of 1990, to quash by way of a writ of certiorari, a quit notice issued under the State Lands (Recovery of Possession) Act, No 7 of 1979 (as amended). The judges agreed that the devolution of state land to Provincial Councils was subject to State land continuing to be vested in the Centre and that the power of the President to make grants and dispositions of state land continued to be unaffected. The Provincial Councils would only have the legislative competence to administer, control and utilise state land once those lands are made available to the Provincial Councils by the Centre. The ensuing divergence in judicial views, with two judges specifically disagreeing with the Determination of the Court in the Lands Bill (SC Nos 26-36 of 2003) in its previous holding that the power of disposition by the President in terms of Article 33(d) had been ‘qualified’ by Section 1:3 of Appendix 11, highlighted yet unresolved fundamental ambiguities inherent in the 13th Amendment in regard to the nature, extent and reach of devolved powers concerning land. This Study comprises of case studies from the Northern, Eastern, Central, Uva, Western and Southern Provinces buttressing the overriding theme of this exercise which is that people from almost all parts of Sri Lanka have faced issues with regard to the acquisition of their lands by the State. In the North and East, the issue of High Security Zones (HSZs) established during the war and now evolved into military strongholds, impacts negatively on the livelihoods of the owners of the lands situated in the HSZs. These HSZs have resulted in lands being taken away from their legitimate owners with little or short notice. Even those who possessed legal documents of their lands and homes that were taken over for HSZs have not been provided with legal remedies. In Sampoor, in the Trincomalee District land previously designated as an HSZ is now being used for a new coal power project initiated in collaboration with India. Other lands in the East are also being taken for newly designated Special Economic Zones. In Thiriyai, a mainly Sinhala populated village the government is refusing to let many villagers who had been displaced due to the war return on the pretext of claims by the Forest Department to their lands as well as the claim of a sacred area in that area. In the Batticaloa District, Pavachikudiyena or Paduvankarai which was earlier under LTTE control and fully Tamil populated, Muslims who had been chased away or fled during the conflict are now returning to their lands but the Tamils who are currently in occupation of those lands are unwilling to return them. This has created much tension between the communities. In the Ampara District, in Panama the mostly Sinhalese villagers around the area have lost their lands to armed groups who have attacked and evicted them from their lands. Government authorities to whom they have complained have not taken any action. In Olvuil, people have lost their lands for the construction of a commercial port. At the same time in a village called Kesankerni (Ashraffnagar) the inhabitants are being deprived of their land for the establishment of a military camp in the area. Similarly in the Northern Province, meetings with villagers confirmed that even outside the so-called High Security Zones (HSZs) the SL military has appropriated acres of land in the peninsula from civic bodies and private owners. It is a somewhat unique phenomenon that members of local government bodies have been threatened in the process. In Karainagar for example, the SL Navy has appropriated lands from the local government bodies. Other targeted areas are Point Pedro and Valikaamam North. Recently (April 2013) a notice by the Land Acquiring Officer for Jaffna acting upon the instructions of the Minister of Land, was issued which stipulated the acquisition of a vast tract of land (6381 acres, 38.97 perches) within the Tellipalai HSZ in Valigamam North for the purported reason of building a Defence Battalion Headquarters [Jaffna]. More than 2000 affected landowners have filed fundamental rights and writ petitions in Court contesting this purported land grab. In the Southern Province, land has been acquired for many developmental projects including the newly established Mattala Airport and the Hambantota Port. Furthermore, the designation of Hambantota as an economic zone and the special projects being undertaken there make it inevitable that much land will be acquired for these purposes. Discussions with parties in the South including affected villagers show that much of the development work is being done without proper planning or impact assessment. Circumstances also show that the affected parties have been given inadequate compensation and not granted hearings according to the law. In the Uva Province, the Uma Oya multi purpose project has given rise to many concerns re the impact on livelihood of the persons. The impact of the project will be felt by three different types of people; namely the people who are directly displaced; people who live in the downstream of Uma Oya who will suffer water shortages and the people who are living in the areas where the earth will be made unstable due to the tunneling process. The aim of development is to enhance the living standards of the citizens of the country and those who are affected by development activity should be helped to achieve a better standard of living. Discussions with affected communities show that those who are due to lose their lands and livelihood due to the Uma Oya project are to be resettled in areas which are completely alien to them and which are unsuitable for their livelihoods. In the Central Province, in Dambulla, the declaration of a Sacred Area within the town led to many landowners being sent quit notices. There after again land was to be acquired for the establishment of an urban development area but there has not been any such development activity taking place and they were told that steps would not be taken to acquire the land. But, suddenly in 2012 they were told to hand over their lands for the purpose of a ‘sacred area development project’. In Negombo, in the Western Province there has been a remarkable increase in the un-authorised filling up of ‘lagoon lands’ by persons having political patronage with the result that the natural flow of water to long standing occupied residencies are being interfered with. Land officers are helpless in this situation. Meanwhile, several local politicians have been directly accused of acquiring vast tracts of land in the Kadol Kele which is a mangrove forest belt spanning on a 36-acre strip along the Negombo lagoon, historically identified as a marshy land rich in bio diversity. It would appear that Sri Lanka’s public authorities (no doubt subjected to enormous political pressure in many instances) are not adhering to stipulated legal procedure in regard to the acquisition of land. Even if the occupied lands were state lands held under permits such as the Land Development Ordinance or the State Lands Ordinance, still those occupying the land for generations would have been entitled to notice. Moreover, private lands are being taken over, apparently without any recourse being had to the provisions of the Land Acquisition Act or even the Urban Development Authority Act. The legal procedure followed seems to have been adopted ignoring the provisions of the Land Acquisition Act. The provisions relating to providing notice and the payment of just compensation seem to have been flouted completely. The Constitution of Sri Lanka does not recognize the right to own land as an expressed fundamental right. However, an acquisition by the State may be challenged on the ground of arbitrary action postulated by the concept of the Rule of Law, flowing from the right to equality under Article 12 (1) of the Constitution. Although this development forms part of the jurisprudence of the country, in the context of the right to equality in general applied to the acquisitions of land as well, a rival school of judicial thought that bases the right to equality on the “equally circumstanced” doctrine still persists, as would be discussed later. This rival thinking proceeds on the basis that a landowner’s fundamental rights application can only succeed on the basis of the fundamental right violation if he / she is able to show particular discrimination as against another equally circumstanced landowner who has been treated differently and with more favour. Apart from that, an acquisition could be challenged under Article 140 of the Constitution through an application for an order in the nature of a Writ of Certiorari, prohibition and / or Mandamus on the basis of the well known doctrines of ultra – vires ( substantive and procedural ) and error of law on the face of the record in Administrative Law, subsumed in the later established doctrines of illegality, irrationality, proportionality and procedural impropriety, acknowledged by the Sri Lanka judiciary. The doctrine of reasonableness established in the English Law was also absorbed into our legal jurisprudence as an extended arm of the doctrine of ultra – vires, subsumed in the subsequently developed doctrine of Proportionality. Finally, by way of remedies open to a landowner whose land is proposed to be acquired by the State, there is remedy by way of a declaratory action that it is not liable to be acquired in terms of Section 217 (G) of the Civil Procedure Code. But such a course of relief would be hardly expedient on account of the fact that, a landowner is not entitled to institute action to prevent his / her land being acquired through injunctive relief in view of the Interpretation (Amendment) Act, No.18 of 1972 read with the Amendment Law No.28 of 1974. This explains why an aggrieved landowner will not be inclined to pursue that remedy but would rather opt to pursue an application by way of fundamental rights and / or by way of an application for an order in the nature of Writ under Article 140 of the Constitution. On the other hand, the Court of Appeal has held that, although, the gazette fails to disclose the public purpose, such may be inferred from correspondence between the affected land owner and the authorities. Thus, if there was no doubt as to the purpose for which the land in question was proposed to be acquired, the procedural flaw would stand circumvented on the fact that no prejudice is deemed to have been caused to the landowner. These decisions will be discussed in full later. In the background of the aforesaid divergent attitudes in the context of private land proposed to be acquired by the State, judicial advances have been few. In one interesting instance however, the concept of sustainable development was acknowledged by the Supreme Court in the context of acquisition of massive expanses of land for the construction of the Southern – Expressway, where thousands of villagers were rendered landless. In that case, the Supreme Court was reluctant to quash the acquisition which was found to be flawed procedurally thus, upholding in effect, the State’s action to launch an expressway as against an individual’s right to property. However, it modified the Court of Appeal ruling in decreeing that, compensation must be paid to the landowner (the petitioner in the case), who had resisted vacation until then and who eventually vacated only upon compensation being paid on the strength of the ruling of the Supreme Court on a subsequent order of the Court of Appeal. This instance illustrates the case of a landowner, who had the financial resources to challenge State action in acquiring her land and who ultimately was able to obtain monetary compensation from the State before vacating her privately owned land. But what about those people marginalized in society for want of financial resources who have had to vacate their lands along with residential houses and are unable to challenge the acquisition for that reason without any compensation for their expropriated land before vacating? Where statute law is concerned, one speaks today of permits, grants, licences etc. given under statutes such as the Land Development Ordinance, State Lands Ordinance etc. re: agricultural activity. The origins of this system go back to the 5th Century B.C in regard to land grants given for services rendered to the King (owner of all State Lands). Grants were given with financial support to people to construct private reservoirs, a tax however being imposed. Ownership of tanks was also permitted. The owner of the tank was allowed to levy a fee from those who utilized the waters of such tanks. After some setbacks owing to the advent of the South Indian rulers, the system was restored by the British Proclamation of 1800. The ancient system gradually came to be regulated by loose practices developing into customs later. It is those customs that today stand further regulated by the several statutes that has formed a major part of the Study in question. The major portion of land was held by people under Service Tenures testifying to the tenant – cultivation regulatory system that exist today; ownership of lands by private persons was subject always to the acquisition by the State for public purposes. In the present-day context, there are two principal statutes in pursuance of which a privately owned land could be acquired by the State viz the Land Acquisition Act and the Urban Development Authority Act. While it is the Minister of Lands who is empowered to acquire a privately owned land under the Land Acquisition Act, the President of Sri Lanka could sanction an acquisition under the Urban Development Authority Act. There are other statutes impacting on the said principal statutes including the Provincial Council Act and several statutes in the context of local government namely, the Municipal Councils Ordinance, the Urban Councils Ordinance, the Pradeshiya Sabha Act. To these may be added several statutes where statutory authorities may require to acquire a privately owned land including line Ministries which may propose to acquire privately owned land for stated purposes of education, (for school development); health (for the purpose of putting up a hospital) etc. However, the point to make is that, any such proposed acquisition must receive the sanction of the Minister of Lands under the Land Acquisition Act in the generality of cases and in specific contexts, the sanction of the President under the Urban Authority Act. While the Minister’s said power has not been held to be immune from judicial review, even the President’s power itself has not been regarded as being beyond the reach of judicial scrutiny, notwithstanding Article 35 of the Constitution relating to the concept of Presidential immunity. While that may represent the strict legal regime, in practice, as the empirical data reveal, there is an extra – legal parallel regime that is in operation. The overall pattern of how privately owned land is being acquired by State authorities reveals that, on the presentation of bogus deeds coupled with brute force, owners of land possessing prima facie valid deeds are being told to vacate on the strength of such bogus deeds, and ad nauseam. This plight is being particularly faced by Tamil and Muslim citizens due to the militarization of the North and East in the post-war years. Those who had been compelled to vacate their lands during the war are now faced with frauds that are perpetrated on them by persons possessing political influence and power. In the Southern regions meanwhile, the poor and marginalized Sinhalese citizenry is pitted against the might of a pronounced State policy centered on the acquiring of private properties citing an urgent public purpose and in many cases, selling them to private companies thereafter for hotel development. Granted, laws impacting on the land rights of individuals in Sri Lanka are presently governed by statues dating back more than a 1 ½ century, and therefore perhaps could be described as archaic. Nevertheless, if the political regime is sensitive and functions within a Rule of Law framework, the existing legal framework still carries potential, with appropriate modifications and/or amendments to cater for those who have lost their lands as a result of conflict as well as post-war development in Sri Lanka. Yet the problem in Sri Lanka is the non-adherence of the political establishment which pervades the economic and social rights sphere, as well as more obviously, the civil and political rights spectrum. A National Land Commission will result in further delays and may not be the ideal solution to address the problem. Rather, looking at the statutory functionaries vested with power in the context of the problem, it would be more expedient, to constitute an ad hoc committee on the initiative of the Minister of Lands (with independent power to act) comprising the divisional secretaries, the Provincial Land Commissioners, the surveyor general as well as representatives of affected communities and land rights advocates to entertain and inquire into claims of those who have lost (or abandoned) their lands in consequence of militarization or post-war development. Such inquiries should be conducted sans the insistence of deeds or other comparable instruments or documents in the nature of primary evidence. Secondary evidence must suffice given the background to the problem as articulated earlier in this paper as constituting Prima facie proof of claims in question unless, there are rival claims inter se in which event, after inquiry, the said committee could be advised to refer the matter to the courts for resolution. In conclusion, these reflections and concerns show the need for special legislation perhaps in the form of and titled a Land Resumption (Special Provisions) statute, taking in the several aspects surfacing, being out of step with the existing provisions of the Land Resumption Ordinance itself read with the State Landmarks Ordinance, the Definition of Boundaries Ordinance, the Land Survey Ordinance and the State Lands (Claims) Ordinance. It is consequently recommended that, a special law be enacted consolidating the said enactments for which purpose, strong, public awareness initiatives be taken by civil society groups in the public interest to prevail upon the government to do so. Necessary Amendments to Sri Lanka’s Constitutional and Statutory Regime are proposed in this Study which include making the right to property a fundamental right as well as following proper procedure in issuing notice of acquisition and providing for ‘just compensation’. Changes to administrative practice are also recommended. Most importantly, in view of the fact that thousands of people in the North and East had been compelled to abandon lands earlier possessed by them owing to the war situation and who are now desirous of resuming their possession that special pro – active legislation is enacted on account of present provisions of the Land Resumption Ordinance, the Forest Ordinance and other allied statutes which appear to stand in their way (as analysed in this Study), added to the fact that, new parties are now found to have gained possession or occupation of the said lands as condoned by state authorities. Those displaced thousands have lost whatever documents they may have had earlier in their possession. They must be allowed to establish their earlier possession prior to abandonment by other extrinsic evidence such as through Grama Sevakas’ records, registers of residence, in the absence of which even by oral evidence, acceptable to a court in the event of litigation. Appropriate provisions must be made in such proposed special legislation to that effect. As evidenced by the field visits carried out by the Trust to the North and East which are elaborated on in Section 7 of this Study. Section 3(1) of the parent Act. Article 33(d) of the Constitution. Heather Mundy v. Central Environmental Authority and Others, SC Appeal 58/03, SC Minutes of 20.01.2004. SC Appeal 58/2003. As illustrated by this case and a few others, some landowners received compensation by the State but without further question as to the reasonableness or adequacy of compensation paid under the provisions of the Land Acquisition Act. As discussed later, though the Act provides for a mechanism to appeal against acquisition to a Board of Review and thereafter to the Appellate Courts, this relief provided by statute is rendered a dead letter on account of the lack of financial resources of poor litigants to indulge in litigation, at any rate, beyond a point, being persons marginalized in society. ‘The Kantakarma Inscription’ – See: S. Sarath Mathilal De Silva The Concepts of Ownership and Possession In the Laws of Property in Sri Lanka (Unpublished) citing H.W. Thambiah, Sinhala Laws and Customs, Lake House Investments, 1968. H.W. Thambiah, Sinhala Laws and Customs, Lake House Investments, 1968 at p. 179. Art 35 (1): While any person holds office as President, no proceedings shall he instituted or continued against him in any court or tribunal in respect of anything done or omitted to be done by him either in his official or private capacity. (2) Where provision is made by law limiting the time within which proceedings of any description may be brought against any person, the period of time during which such person holds the office of President shall not be taken into account in calculating any period of time prescribed by that law. Provided that any such proceedings in relation to the exercise of any power pertaining to any such subject or function shall be instituted against the Attorney-General.